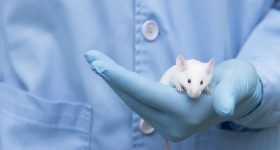 3D bioprinting technology company Aspect Biosystems has announced a collaboration with Maastricht University (UM) in the Netherlands. The focus of their project is to develop viable kidney tissue for medical testing. 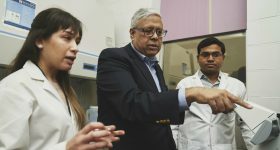 Placing its RX1 bioprinter at Professor Lorenzo Moroni’s Lab, Aspect will be working with the Institute for Technology-Inspired Regenerative Medicine (MERLN) at UM. Aspect Biosystems is a privately held biotechnology company founded in 2013. The company’s aim is to create human tissues on demand, and in its latest collaboration with UM, it is working further to fulfil this goal. 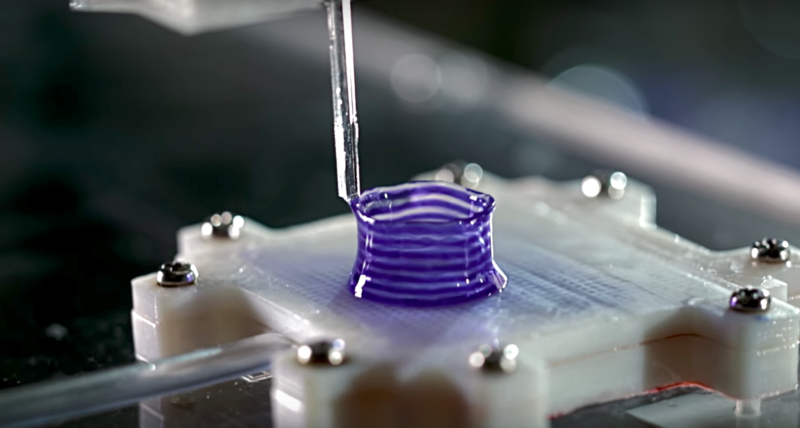 The Aspect RX1 Bioprinter facilitates the fabrication of 3D tissues using the Lab-on-a-Printer™ platform, Aspect’s core technology powered by microfluidics. The Lab-on-a-Printer™ platform has printheads containing microscopic channels for the redirection of multiple fluids and inks at a time. 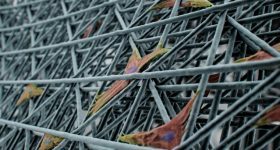 With this capability, the technology enables the layering of multiple cell types to create 3D tissue structures. MERLN combines research with training an interdisciplinary generation of scientists in the field of biomedical engineering. It specializes in the fabrication of devices for cell based tissue regeneration. The institute has been working on kidney bioprinting for 3 years, and has now developed new bioinks to help maintain and regenerate the health of kidney cells during the bioprinting process. 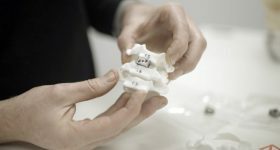 MERLN uses extrusion, droplet-on-demand and microfluidics to develop tissue implants and organ models, and has already developed constructs for long bone defects. 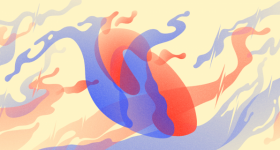 Dr. Carlos Mota, head of bioprinting research and assistant professor at MERLN, will be leading the project into developing kidney tissue using 3D bioprinting technology. 3D bioprinter at Maastricht University. Photo via Carlos Mota. 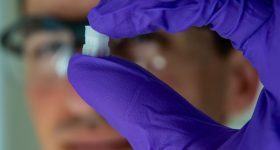 The institute will be working with Aspect to 3D bioprint kidney tissue at The Moroni Lab, a research group specializing in biofabrication technologies. The group was founded in 2009 at the University of Twente, the Netherlands, and is a part of the MERLN institute at UM. Aspect has an option to further develop and commercialize products based upon the results of the research. 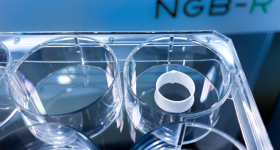 Other companies operating within the same area as Aspect Biosystems include Organovo, that already has its ExVive™ Human Kidney material on the market, and Collplant, which provides collagen biomaterials. 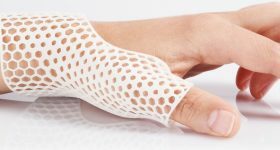 Impressed by Aspect’s application of 3D bioprinting? 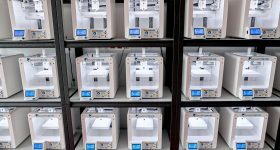 Make your nominations in the upcoming 2019 3D Printing Industry Awards. 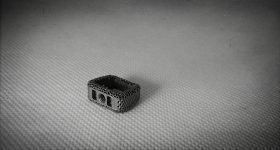 Looking for the latest news about 3D printing? Subscribe our free 3D Printing Industry newsletter, follow us on Twitter and like us on Facebook. 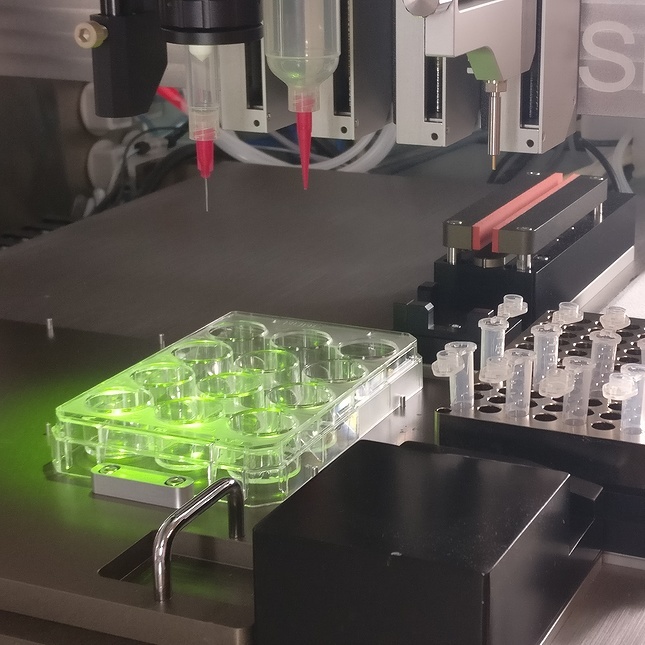 Featured image shows Aspect’s 3D bioprinter in action. Photo via Aspect Biosystems.